Following requests by multiple congressional committees for former FBI director James Comey’s memos of conversations between himself and President Trump, the Senate Judiciary Committee is now requesting the White House turn over any of its any recordings of conversations between the two by May 24th. “Last week, the President tweeted a message implying that the White House may have recordings of interactions with Mr. Comey,” wrote the ranking members of the committee, seemingly referring to Trump’s May 12th tweet warning about “tapes” of conversations with Comey. The letter specifically requests any “recordings, transcripts, notes, summaries, and memoranda” related to conversations between Comey and Trump. This is happening as ranking members of both the Senate Intelligence Committee and House Committee on Oversight and Government Reform have demanded that the FBI turn over any memos of conversations between Comey and Trump. According to a report published Tuesday in New York Times, Comey’s written memo of a February meeting with Trump says Trump asked Comey to back off from looking into disgraced former National Security Advisor, Michael Flynn. 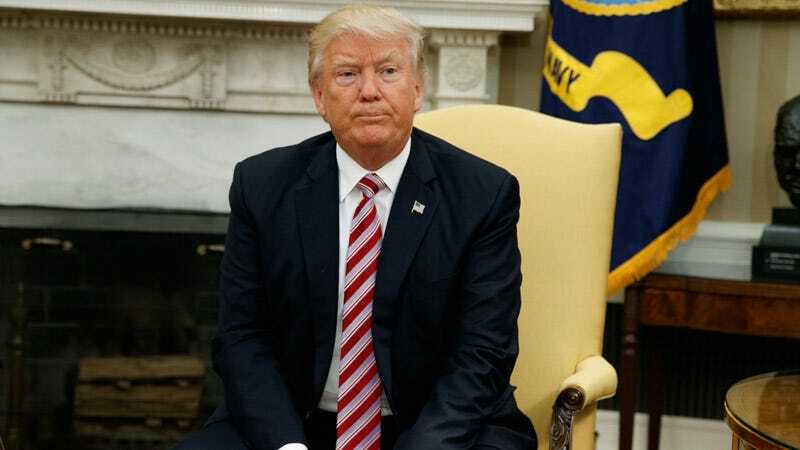 Following Comey’s abrupt dismissal, Trump contradicted his communications staff on the reason for firing him and admitted it was partially because of how Comey was handling the Russian investigation, touching off obstruction of justices allegations. If Trump does have taped conversations with Comey, they may well end up as part of an investigation into whether he fired Comey because he wouldn’t end the Russia-related investigations. And if he did, in fact, ask Comey for his loyalty and to ease up on the investigations, the calls for impeachment will be swift, and he’ll only have brought it on himself. Meanwhile, if he has no tapes, then he, the most powerful man in the world, tweeted out an empty threat, making him half a step up from a Pepe troll. Either way, the most grievous injuries to his credibility were not only self-inflicted, they were because he couldn’t stop tweeting. Our president, in that regard, has a serious case of the Twitter Fingers. He, like all of us, should never tweet.